Hello! As you can probably tell I have stopped doing Blogmas this is due to the fact that I couldn't keep up although I did enjoy it a lot. I will be doing Blogmas next year though! So from now on, I'll be posting four times a week. Let's forget about that and move on to the post, stocking fillers. Turn off your ad blockers so that you can see the stocking fillers!! I have been using this for a couple of days and I might have to add this to my list to buy for people because it is so handy and it works wonders. I have realised that ever since using this 3 step product my face has gotten a lot more smoother making my makeup look better as well. 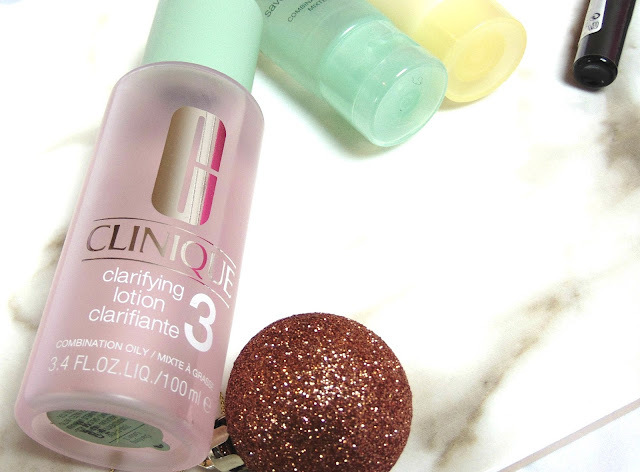 For those that love Clinique and skincare, they'd love this. The Body Shop Gift sets are the best and they are so inexpensive! Everyone loves a LUSH bath bomb for your days of luxury, pamper or even on an everyday basis. Even for secret santa this would be an amazing present for anyone! Kiko Pencil Lip Glosses are beautiful in many different shades, that are pencils. Can you believe it? They look fantastic on the lips, with a matte finish to some of them. They are moisturising lip glosses as well. This has been on my Christmas list for a long time, from many people there have been really good reviews based on this product. Another Clinique goodies for those who are in love with skincare too. What stocking fillers will you be purchasing this year? *There are affiliate linnks above, for more information please read my disclaimer.